While still a work in progress, i would like to show you our latest iPhone design. 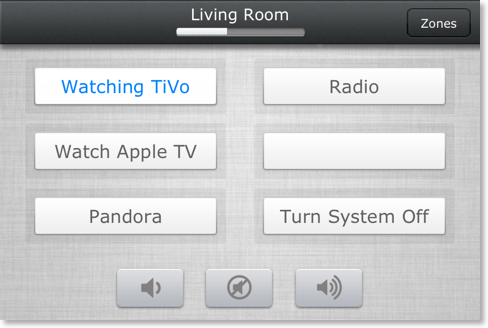 Its made with Command Fusion, to control a Crestron system. The old app i designed was great, but it was very much about looking down at the iPhone when trying to watch tv. This new design is more gesture based, which allows you to concentratemore on watching the tv thats in front of you. The gesture areas that slide in allow you to simply flick up and down through the guide, and tap to select. Similarly for when watching a recording, you can swipe left to rewind, or double tap to pause. and swipe left and right for volume control. Tap for mute. 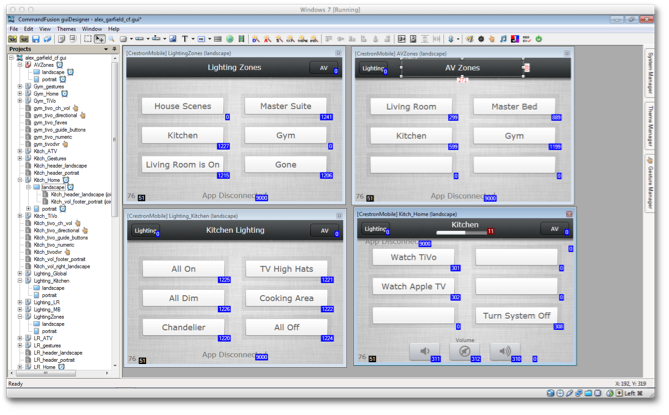 along with different modules for lighting control, sleep timers, number keypad, etc…. For best effect - choose full screen when watching the video. As we refine the app, we will release more video previews with more detail.